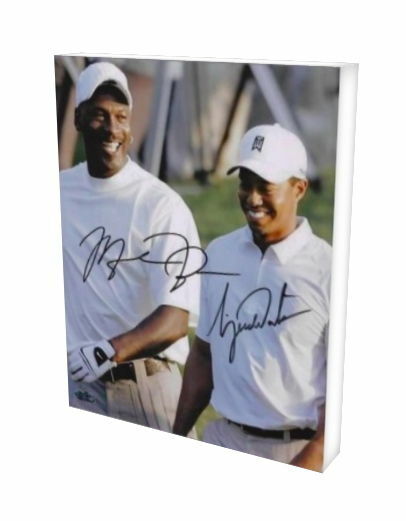 This 11x14 Autographed Reprint Canvas features Tiger Woods and Michael Jordan. 11x14 Canvas Print Wall Art with Gallery Wrap and Dust Cover. The package also includes a Wall Hanging System.